Ants and humans represent approximately the same amount of biomass on our planet. 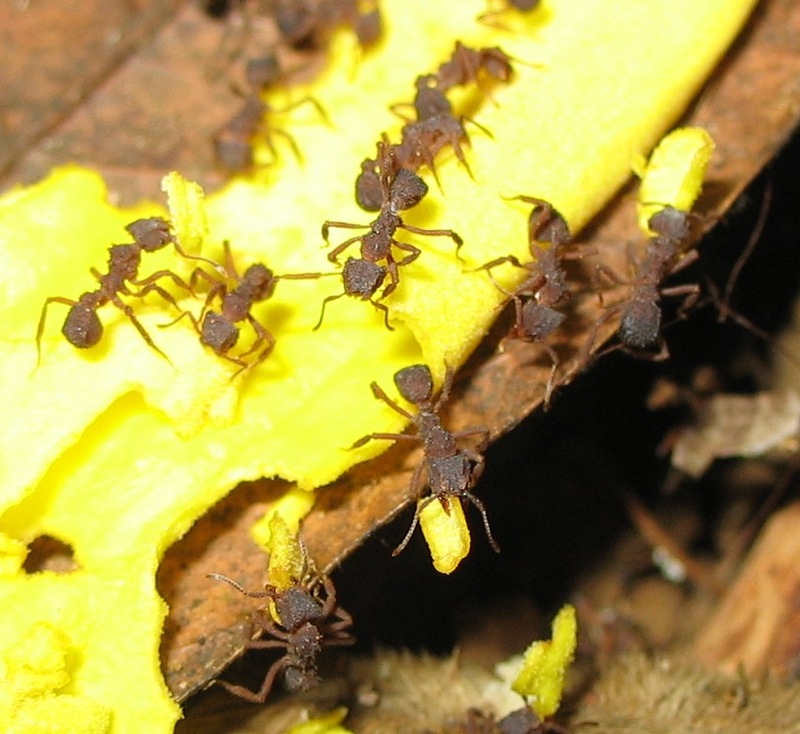 Together with other social insects, ants make up a third of the entire animal biomass in the tropics and hence have a major effect on their ecosystems. 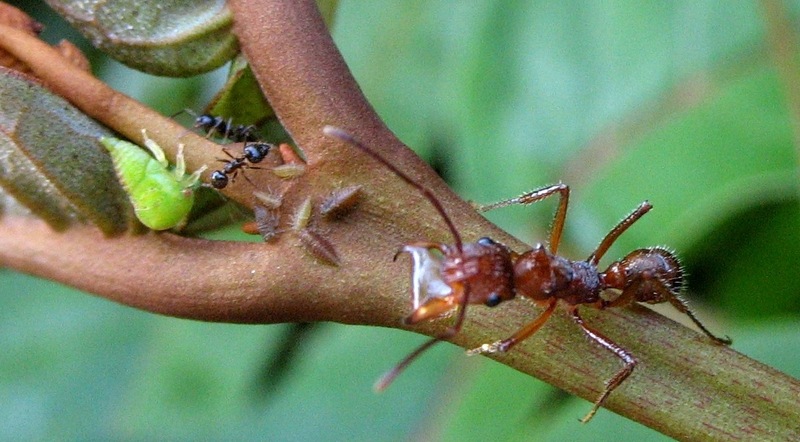 Researchers at Johannes Gutenberg University Mainz (JGU) investigated the role of different ant species in various ecosystem processes in tropical rain forests. They discovered that the dominant role is often played by only a few or even a single ant species when it comes to consuming food resources, something that can make an ecosystem vulnerable. Researchers working with Dr. Florian Menzel of the JGU Institute of Zoology have identified ant species in the forests of Borneo that are extremely efficient and exploit the major proportion of the food resources available. This is the first time that biologists quantified resource consumption by ants in the field and differentiated between diurnal and nocturnal ant communities. The stability of an ecosystem depends on various factors, such as whether and how fast a system can return to its original state after disturbance. The capacity of an ecosystem to cope with the loss of species also contributes to its stability. How ecosystem stability is affected by anthropogenic loss of biodiversity has been extensively studied in the past years. Generally, a high biodiversity leads to a high stability of the ecosystem. However, how tight this relation is and which other factors influence it often remains unknown. The Mainz-based biologists conducted their research in two forests each in French Guiana (South America) and in Borneo (Southeast Asia). They set up 64 collection points in each forest where they provided natural food sources, which included living insects of various sizes, dead insects, sugars that occur in sweet fruit and nectar as well as sugars that occur in honeydew produced by aphids. "We analyzed which ant species went to which food types and then measured the extent to which each species contributed to its consumption," explained Menzel. "This enabled us to calculate the stability of the system." The tropics harbor an enormous biodiversity, often with more than 100 ant species in just one hectare of forest. Some are only active during the day, others only at night. Whether a species is diurnal, nocturnal, or both can have considerable influence on the stability of an ecosystem. If certain species are only active during the day and others only at night, this increases the overall stability of the ecosystem. The researchers of Mainz University discovered that, in some forests, species richness and stability are significantly lower at night compared to daytime. 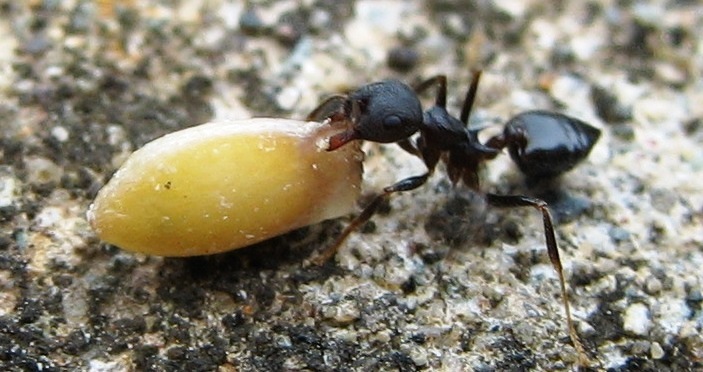 They also showed that very high food turnover was only achieved when 'high-performance ants' were present, but not when many less efficient species equally contributed to food consumption. In Borneo, the most active ant species in the study areas accounted for more than half of the overall food consumption. "These highly efficient species can dominate the entire system in some forests. They increase temporary resource turnover, but make the system more vulnerable because other species cannot compensate their performance if their numbers diminish," Menzel added. This finding is particularly important because ants play a major role in many ecosystem processes. For example, they help to break down dead animal biomass, consume seeds, and prey on other insects. In the future, the JGU-based evolutionary biologists plan to further study this phenomenon to find out what exactly makes these efficient species so efficient. The responsible factors may be higher food specialization, the ability to quickly discover food, or morphological aspects. Whatever the causes, it has now become apparent that it is essential to bear in mind that ecosystem processes differ between day and night, such that it is necessary to investigate the stability of an ecosystem at multiple times of day.